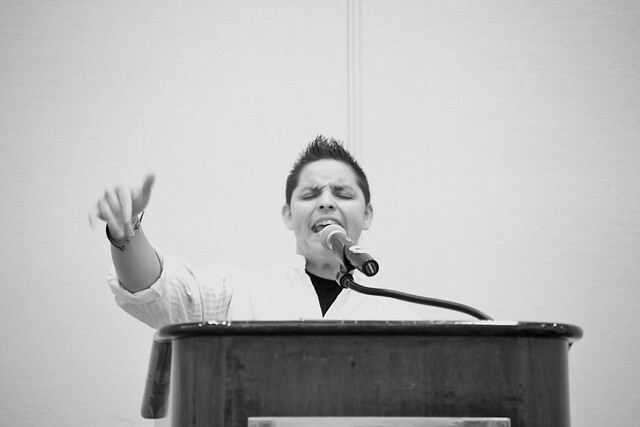 This is our Call for Submissions for the 2019 National BUTCH Voices Conference in Oakland. We welcome workshops submissions of all kinds, and in all formats: films, performances, skill shares, readings, meditation, and movement—anything and everything that addresses the cultural, sexual, emotional, physical, and psychological relationships that arise in the lives of Butches, Studs, Tombois, Aggressives, Machas, MOC individuals, etc. We are open to all perspectives–queer, feminist, womanist, neither or beyond! We particularly encourage proposals by and for people-over sixty, under twenty-one, by and for the working-class, people of color, and persons with disabilities. We value the work and skills of our community highly. And if you are selected, in exchange for being a participant, you will receive a 4 day pass to the conference at a discounted rate. Deadline: June 1, 2019. Workshops: A complete proposal for workshop, panel or discussion group along with short bio and headshot of all presenters. All sessions will be at most 75 minutes long, including time for audience discussion and Q&A. Performance: A description of performance along with short bio and headshot from all performers. Art: Please submit images and dimensions of 1 to 3 pieces of artwork that can be displayed on easels along with a short artist statement and headshot. Film: Please submit short films only, 30 mins and under by providing an online screener link. Password protected Vimeo links are preferred for submission purposes only. Please include: screener link, password, short synopsis of film, trailer url, a short bio and headshot of filmmaker. Exhibition formats for Film Night are TBA: but likely hi-res quicktime file, BluRay or DVD. You will use this email address to register for the conference. A way that we can speak with you verbally regarding your conference session. Please describe your performance AND how it speaks to the BUTCH Voices mission. Please be as clear and concise as possible. Submissions without a demo will not be considered. Please upload one high resolution photo of performer(s). After you click "next" below be patient as the photo uploads. Please describe your session/workshop AND how it speaks to the BUTCH Voices mission. Please be as clear and concise as possible. Please upload one high resolution photo of presenter(s). After you click "next" below be patient as the photo uploads. Please describe your artwork AND how it speaks to the mission of BUTCH Voices. Please be as clear and concise as possible. Please upload one high resolution photo of artist(s). After you click "next" below be patient as the photo uploads. Please describe your film AND how it speaks to the mission of BUTCH Voices. Please be as clear and concise as possible. Please upload one high resolution photo of filmmaker(s). After you click "next" below be patient as the photo uploads. BUTCH Voices strives to broadly represent our community. Providing this information is extremely helpful to our mission. Check all that apply.